Cozy At Ten Hotel is a clean and comfortable three star hotel located opposite Chuwit Garden park on Sukhumvit Soi 10. Rooms are modern, clean and have free Wi-Fi and comfortable beds. Cozy at Ten Hotel is located close to Nana BTS station, which can be reached within two minutes on foot. 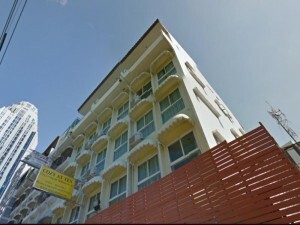 The hotel is also a short walk from nightlife on Sukhumvit Soi 4 and Soi 11. 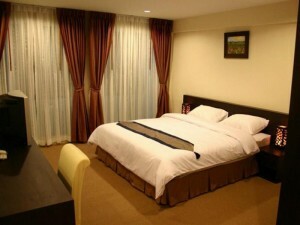 With 22 rooms, Cozy at Ten Hotel is a small hotel that offers a great location and good value for money.